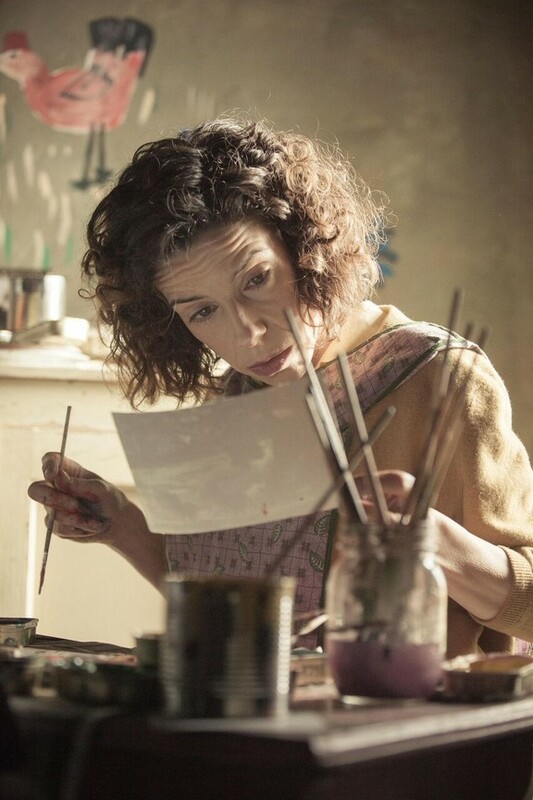 Maud (Sally Hawkins) is afflicted with rheumatoid arthritis and has been since she was a child. Her fingers are twisted, her legs misshapen, and she has a hunchback. When her parents died, her brother sold their home and put Maud up to live with her overbearing aunt. Nobody takes her seriously. Everett Lewis (Ethan Hawke) is a local fish peddler in a village in Nova Scotia. He is a socially challenged, extremely reclusive, and verbally and physically abusive. When he puts up an ad for a housemaid, Maud sees it and applies for the job. She comes to live with him in his very small house out in the country. Maud starts cleaning up around the place and decorating it with her own little paintings. By chance, one of Everett’s customers sees the artwork and starts commissioning works from her. 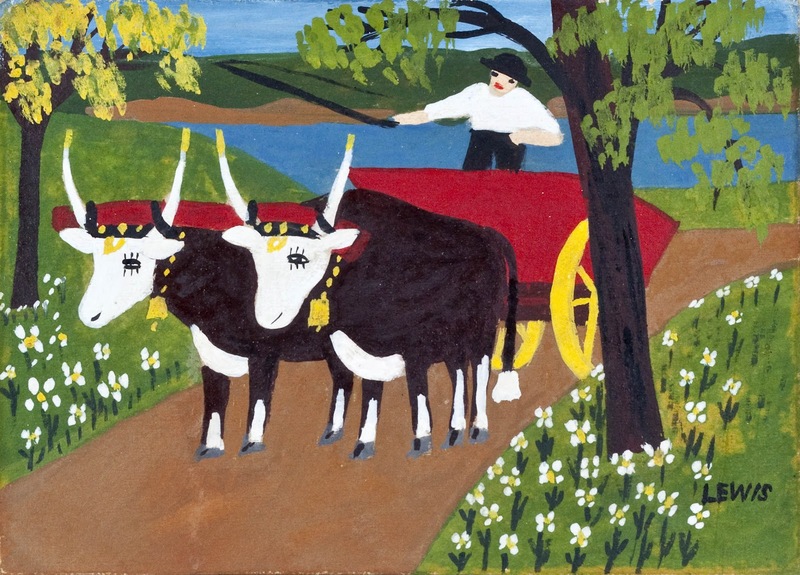 Over time, Maud’s work gets the attention of the folk art scene in New York City. Gradually the unlikely couple develops a bond of love. Maudie is based on the life story of painter Maud Lewis, who lived in Nova Scotia with her husband Everett Lewis. They lived in poverty for most of their lives in a famously small house. You can google “Paintings by Maud Lewis” and find many of her paintings, her house, herself and her husband. Maudie is a movie of unusual circumstances and deep emotions. It’s a story about life, its simplicity, and its cruel reality. Watching it made my eyes tear from time to time, and most of all, it made me go home and pick up my paint brushes again, which have been lying idle for too long lately. The Whole of Life, Already Framed, Right There!